Entwined with the natural diversity of Acadia is the story of people. Evidence suggests native people first lived here at least 5,000 years ago. Subsequent centuries brought explorers from far lands, settlers of European descent, and, arising directly from the beauty of the landscape, tourism and preservation. Attracted by the paintings and written works of the "rusticators," artists who portrayed the beauty of Mount Desert Island in their works, the affluent of the turn of the century flocked to the area. Though they came in search of social and recreational activities, these early conservationists had much to do with preserving the landscape we know today. Today the park offers scientific, educational, and recreational activities unparalleled along the east coast. Hike to the top of Cadillac Mountain to enjoy a spectacular sunrise over Frenchman�s Bay or explore some of the quieter, more secluded mountain paths. Bike over 40 miles of the tree-lined carriage roads that wind over hillsides and near glassy lakes. 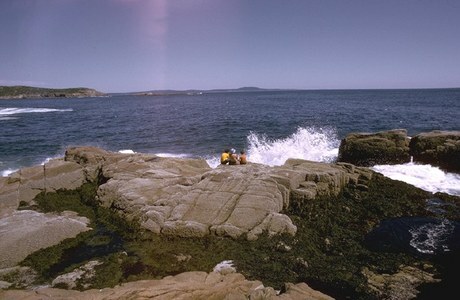 Join a ranger to experience Acadia�s resources first-hand. Or just admire the views and let yourself unwind, knowing you�re taking part in a long-standing tradition.